Former Australian and British head swimming coach Bill Sweetenham, talks about the timeline of a coaching career. He has observed that this timeline includes learning how to coach, producing winners, sharing your ideas through publications, coaching at national level, internationally with your national team, and coaching a foreign team other than your home country. In my third decade as a surf coach, I add these last two coaching levels to my resume, and found coaching under the Australian flag an emotional and extremely satisfying experience. While coaching another nation’s national team challenging, but gave me the opportunity to share what works to surfers of great ability, but without the full package of skills necessary for successful on the global stage. In the first few years of this decade I was coaching regularly in Old Bar and internationally, but also heavily involved in Ben’s career. In this time Ben won the Australasian Pro Junior Series, and on his 2nd full year on the WQS, qualified for the elite tour in 2009. He competed on the WCT for 4 years, before getting knocked off by one place when the WSL brought in their mid-year cut, which relegated surfers who weren’t in the top 30 rankings by the mid-point of the year. The next year Ben tried to re-qualify but sustained a knee injury, which in the end required 3 operations to fix the issue, and this pretty much ended his professional career. He now judges and is moving up through the ranks of professional judging. 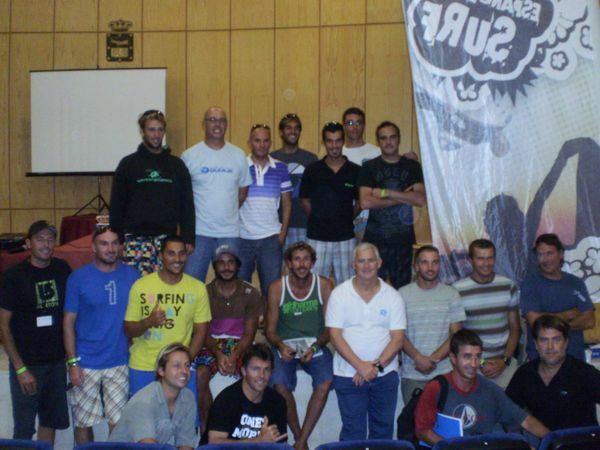 In 2009, I was asked to go to Spain to present the Level 2 surf coaching course to Spanish surf coaches. As I had rewritten this course a few years previously, Surfing Australia asked me to represent them and present the course. Normally a two-day course, the Spanish courses ended up over 3 days because of the extra time required to translate everything that was presented as we went along. During my two week stay I presented to over 80 coaches in Ferrol, northern Spain, and in the Canary Islands. Additionally I coached squads of their elite junior surfers in both locations to share practical knowledge with the coaches on the beach. In 2010 I was offered the job of head coach of Australia, and my key role was to direct the development of surfers and coaches nationally. I got paid a weekly salary, paid for holidays, and super – an absolute luxury, as after 25 years of being self-employed, if you had a day off you didn’t get paid. I tried achieving the goals of the position by running training camps at Surfing Australia’s High Performance Centre HPC, conducting state visits regularly, and creating resources for coaches and parents to use when working with their surfers. I’m into long slow development of a surfer’s talent, and that’s what I tried to encourage during my tenure. During my tenure at Surfing Australia, I thought it was important to share what we were doing at the HPC by taking our programs to the states. So each year we travelled to each state twice a year. 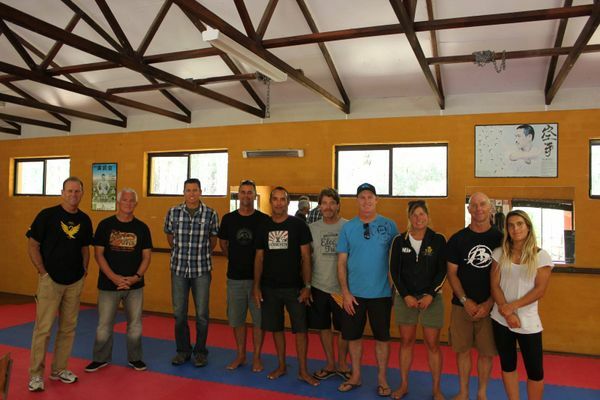 During each visit we were talked directly to each state’s key surf coaches and their developing talent. The idea was to share our ideas of what worked and by doing so, we were creating a “slow burn” in a developmental sense, so that with each visit the coaches and surfers would learn a little more that they could add to their understanding. I thought it worked well, but since my departure from Surfing Australia, funding for this program has been re-directed elsewhere. 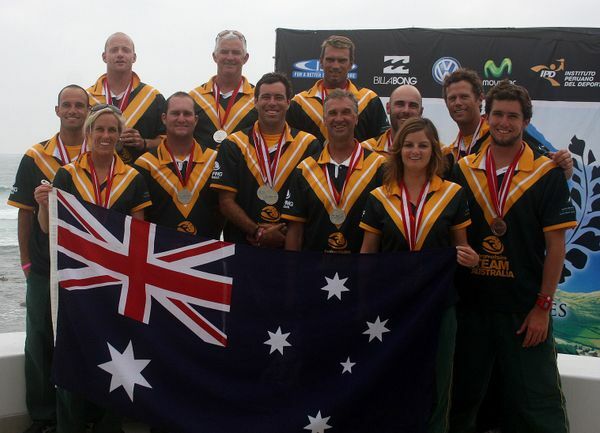 As part of my role at Surfing Australia I was also head coach of Team Australia. This role included the selection of the team, organization of the trips, and leading the team when travelling overseas. Whether you win or lose when travelling I had learn previously with my NSWIS trips that if you can get everyone home safely, it’s a good trip. From a management point of view, all the trips ended well. I lead Australian teams on 9 occasions to ISA World Surfing Games, travelling to Ecuador, New Zealand, Peru, Panama, Nicaragua, and China. In all, the teams won 6 gold, 2 silver, and 1 bronze team medals, besides many individual medals. I love Australia – it’s truly is the best country in the world – and I am grateful and privileged to have been a part of teams representing this country. Two weeks after leaving Surfing Australia, I received an email from the Peruvian Federation to see if I would work with their national team. So 10 days later I was on a plane to Lima, Peru. I spent 2 weeks working with their surfers and at the end of the training, was asked to return later in the year to lead their national team at the ISA’s 50th Anniversary World Surfing Games, to be held in Peru. It was weird thinking about leading another national team after my Australian experiences, but as my son commented “ you’re a world coach – not just an Australian coach, and there isn’t anything wrong with that”. That one comment eased by concerns about working with another nation, and so I returned to Peru with enthusiasm to do the best job possible. In reality, the Peruvian surfers are just like the Aussies – great surfers, love to have fun and joke around a lot, and once they assessed you and your intentions – welcoming. The mantra I used with the team was that “there are no excuses”, and with that mindset, these fine surfers went on to win the gold medal in a close tussle with Australia. Would I go back and coach them again – you betcha – I loved every moment of the challenges presented and working with these great people. 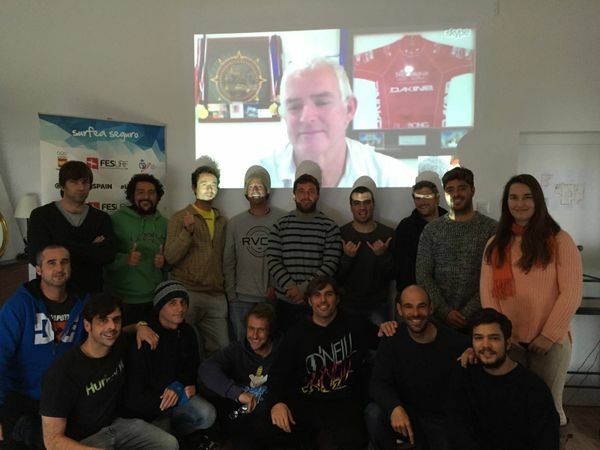 At the end of 2014, I got a call from the Spanish federation to see whether I would present a level 2 surf coaching course to their coaches via Skype. And could I do it “next week”. Technically speaking it should be possible, and “next week” I was presenting to Spain over a four-night period. I felt a lot like Dr Evil out of the Austin Powers movie, but in the end it all worked well and the course was a success. Two surfers I have coached off and on for many years are Nikki van Dijk and Connor O’Leary. In the past two years I have been working closely with them through my Annual Program, where we train together when they are home, I work with them at Australian contests, and when they are travelling, I watch their heats online and create reports on their performances. My “annual program” is available to any surfer wanting to really take their surfing to the next level. It’s all about slow gradual development, but combined with a surfer’s effort, gets good results in the long run.